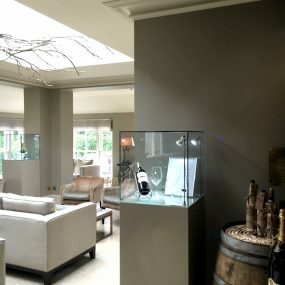 Wood plinths, available in a variety of finishes, are a way in which to display products with a bit more character than the standard black or white. Wood Veneer, is available with an MDF backing. The equipment we have in-house means that we can mitre-joint the sides together. With a circular saw that is highly accurate on the width that it cuts the wood, and a perfectionist team of makers, you can be assured that the edges will be seamless. A comprehensive list is further down the page detailing the different finishes of wood plinths that are available. Wooden plinths are very popular within Art Exhibitions and Museums. If you are looking for a wood plinth, or wood effect plinth for your display we would be more than happy to help you. 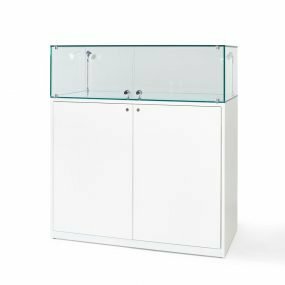 If you would like a secure top for displaying fragile items, there are the options available for having acrylic or glass display cases on the top of the wood plinth. Cases are fixed to the plinths through the light holes, so the case and the plinth cannot be separated. Alternatively you may wish for the case and the plinth to be separated in which case we can make sure they just sit together. The image to the right was the launch of a retro confectionery at a high level management meeting located at The Ritz in London. The cabinet was ordered to match with the decoration of the room. The plinths can be created from solid wood, or with a wood veneer. Wood veneer are the most cost effective option and we also provide these for hire. Solid wood plinths are available for quotation upon request and as long as the wood exists in the country, you may have a plinth made from it! Wooden Plinths are finished with a lacquer which can be sprayed in a Matt or Gloss Finish.Samples may be provided upon request. 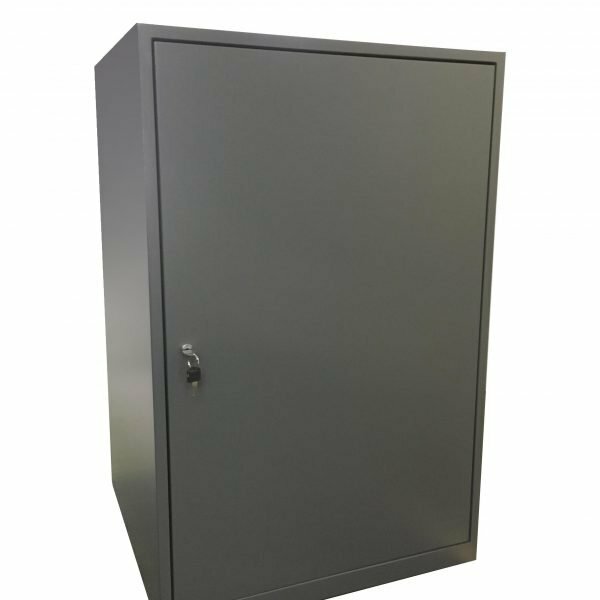 If you have an enquiry please contact us on 01934 708 717 and we can provide a quotation to meet your needs.